Dr. Mostafa Anwar, an assistant Lecturer of Endodontics at the faculty of dentistry (British University in Egypt). He received both his master Degree of and Ph.D. researcher in endodontics from Ain Shams University. He is a certified healthcare and hospital management specialist. In addition, he is an Infection Control Officer at the British University Dental Hospital. 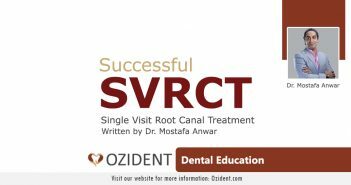 In his spare time, he is an international Lecturer of Endodontics, executive Secretary of EIDEX Society and a member of the Editorial Board EC Dental Science Journal of the Egyptian Dental Syndicate. Currently, he works working as an endodontist Specialist at Whity Dental Center. His passion is Micro-Endodontics.